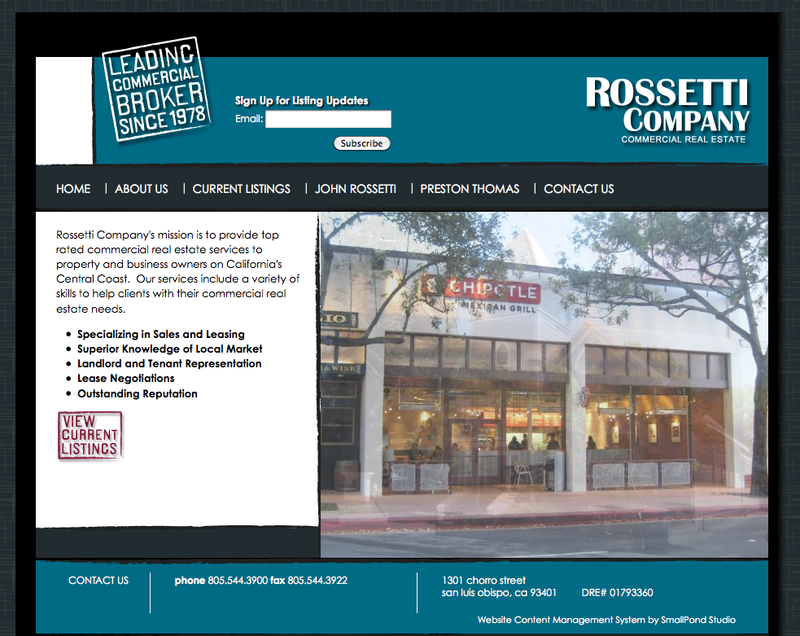 SmallPond Studio has developed two content management systems for San Luis Obispo commercial real estate broker Rossetti Company. The two websites are for Rossetti Company, a commercial real estate company, and its sister company, Rossetti Company Management, which manages shopping center properties on California's Central Coast. SmallPond Studio's affordable content management systems are built so a non-technical person can load, remove, and edit content on a website using a simple editor, without any HTML or coding knowledge. Contact SmallPond Studio to get more information about a content management system for your business.